What size tent for 150 guests? 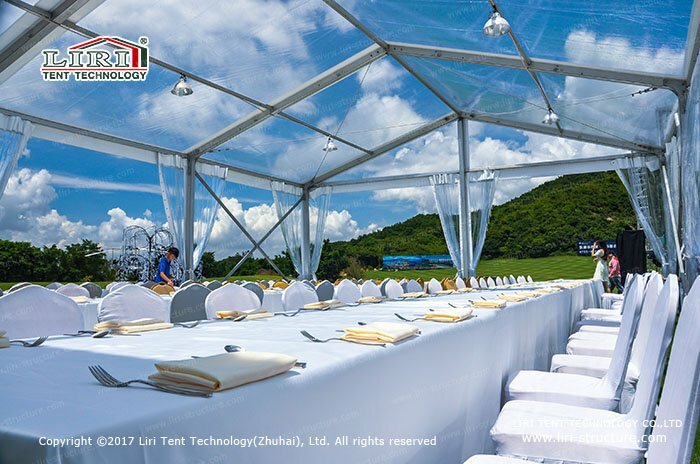 Many small and medium-sized events, the number of people are between 100-200 people, then choose a suitable event tent, and the capacity is just 150 people. How big of a tent do I need for 150 guests? First, we need to know what events the tent is for. Usually, we divide events into two kinds, one is weddings, parties, such events need to treat guests’ meals. The second kind is meeting, church, for such purposes, the space required by people is small. It is used for weddings, party tents, and the capacity is 150. When we calculate the size, we can refer to the data provided by Liri Structure, 1.2sqm/person for this kind event. Then, based on the total number of 150 people, we need about 180 square meters. The recommended size is 8*24/2.6m for the LIRI MPT series. Of course, we can also choose NPT 10*18/2.6m. If you want to leave some entertainment space. We can add one or two bays based on the original size. 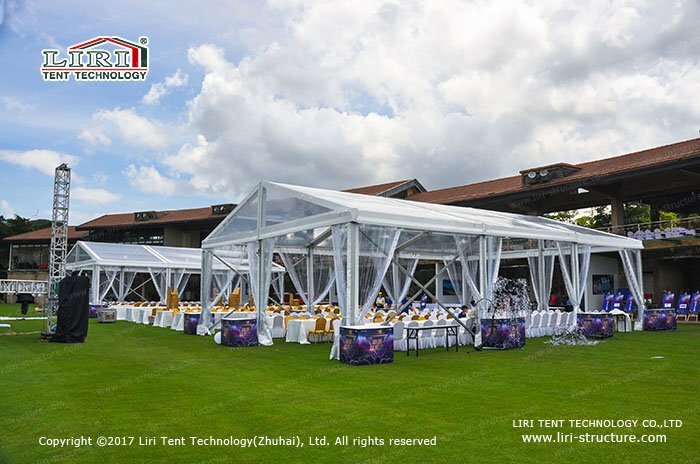 If we use the tent for a meeting or church, we can calculate it with the standard of 0.6sqm/person provided by Liri. So a 150-person conference or church tent, we need about 90 square meters. Then the size we choose can be 6*15/2.6m of the Liri MPT series. Of course, this size is only used as a reference size. We can choose the most suitable size according to your needs. In addition to the two conventional types of usage described above, we will have some other usage, and in this case, additional calculations are required. Under normal circumstances, it is recommended that you choose a bit larger size to avoid insufficient space. In summary, you can refer to the above content and data, select the suitable size of the tent for your own activities. Nowadays, there are more and more people who like to use tents to hold events, and I believe that there will be more in the future.